The Full Pink Moon, named after a type of flower called grass pink, will not actually be pink as it rises tomorrow 12 minutes after sunset. 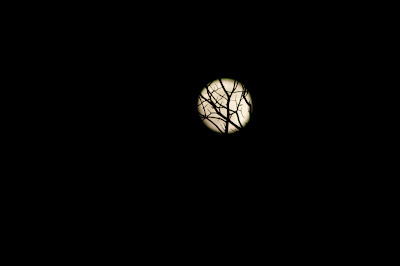 In fact, it will probably be orange - similar to this twilight moonrise in February. Deferring to the alternate name, the Full Sprouting Grass Moon, might alleviate some of the confusion. 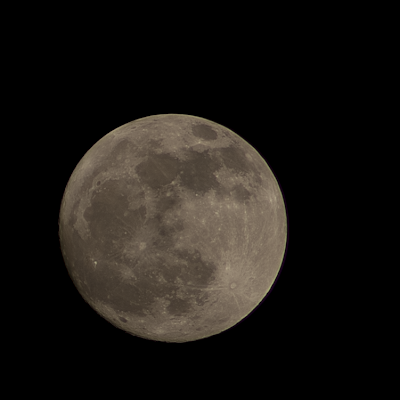 Tonight, the moon caught my attention through my bedroom window. 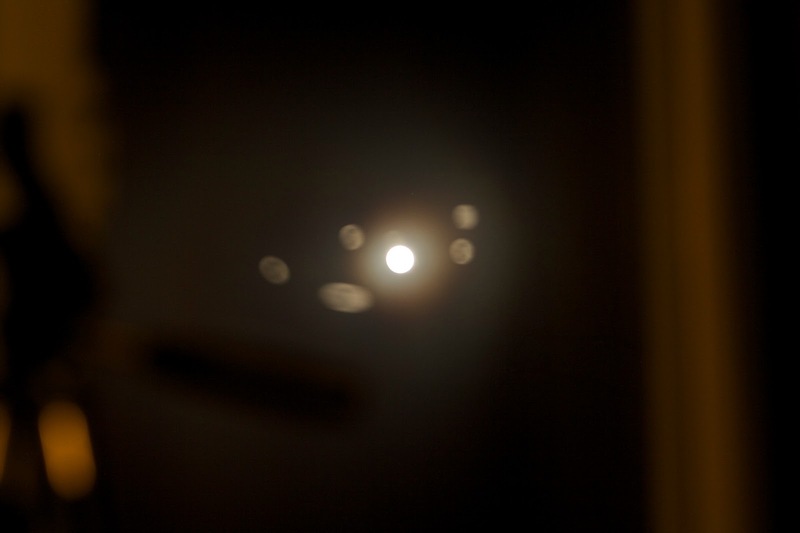 I noticed a strange glare caused by the window pane that created 6 reflections that looked like they were orbiting the moon. 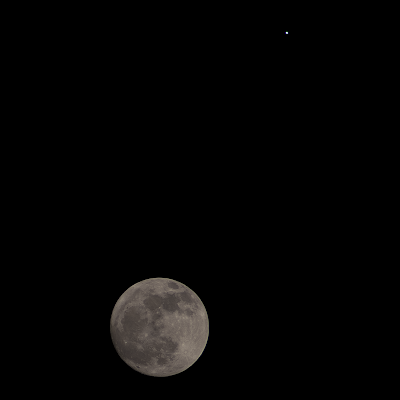 When I went outside to get a good look, I noticed Spica to the upper right of the moon a couple degrees away. The star showed a subtle blue color. Spica is actually a blue giant star 260 light years away. It's 15th brightest in our night sky. 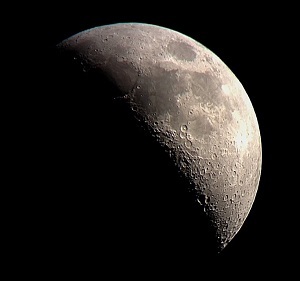 Tonight the moon will actually occult (pass in front of) Spica in parts of South America. 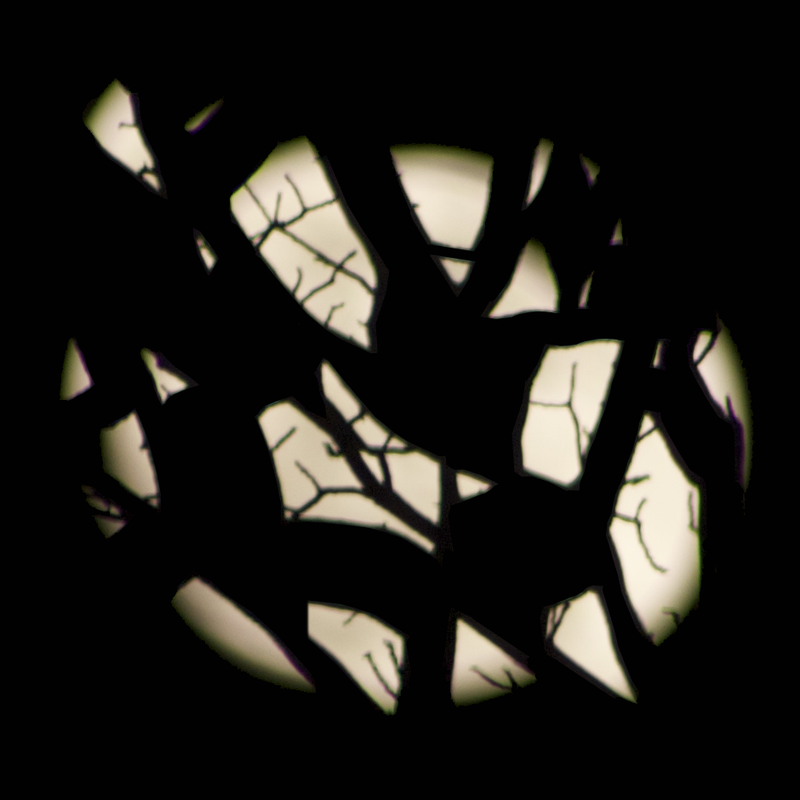 Taken from my bedroom window, this tree silhouette in front of the moon looks like a cracked plate.